About Us | Loving Angels Care is a family-run care provider offering quality home care. Loving Angels Care is a family-run care provider, offering specialised care services including 24 hour live-in care, home care, dementia care, domestic cleaning and much more. Loving Angels Care aims to provide the most suitable care for the individual and, should the requirements change, tailor the care provided. Loving Angels Care is responsible for delivering major contracts for a number of large public sector organisations, as well as delivering care services to a large and growing number of self-funding clients. We aim to tailor our care to suit the individual user's needs and make adjustments as their requirements change over time. Ensuring all service users are safe when engaging with our staff is our main priority. All care plans are developed with an end goal in mind based on agreed outcomes with service user. Person-centred care is at the heart of our organisation and we let you decide how you want us to support you as we believe there is no one size fits all approach to care. Our management team regular quality checks including spot checks and service review meetings with you to ensure we are meeting our target of high quality care. During the recruitment process of all our care staff, we undertake thorough compliance checks to ensure that all of our employees have the relevant qualifications and experience necessary in order to provide our services in a safe and professional manner. We follow a strict recruitment process to ensure that all of our workers are compliant with the Care Quality Commission’s Essential Standards and government legislation. A strong focus on continuing staff training and development is central to our philosophy. All care staff are trained to the national standards when they join Loving Angels Care and all employees complete a mandatory induction programme which includes Manual Handling, Dementia Awareness, Infection Control & Prevention, Fire Safety, Medication, Safeguarding Vulnerable Adults, Equality & Diversity, Health & Safety and Emergency First Aid training. At Loving Angels we offer all ourstaff exceptional development opportunities. One of the key ways we do this is by supporting staff who want to study further by providing them with funding towards their QCF qualifications. We use a number of national and local training companies as well as an e-learning system to deliver the training to ensure all staff are competent in providing our services. In addition, further training is available to care staff who work with service users with more complex care needs. I throughly enjoy my job as everyday is different. I have worked within the health and social care sector for 10 years during this time I have supported individual with a variety of disabilities. I am passionate about supporting people to enable them to live their lives to the fullest. 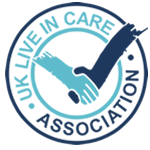 I have over 10 years experience of working in various care settings namely residential homes, supported living and domiciliary care. I am very passionate about my work and believe in providing person centred approach of care to meet each individual 's care needs.